Selligent Marketing Cloud is a marketing automation platform that enables B2C brands to engage consumers across all critical channels. 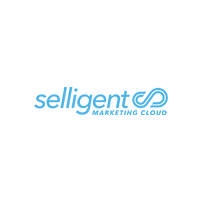 Built for the relationship marketer, Selligent Marketing Cloud is the only marketing cloud built on a single code base, featuring artificial intelligence and a Universal Consumer Profile at the core of every action. More than 750 brands across retail, travel, automotive, publishing, and financial services rely on Selligent Marketing Cloud’s proven platform. With 10 offices across the United States and Europe and more than 50 agency partners, Selligent Marketing Cloud serves over 30 countries with local, personalized service.